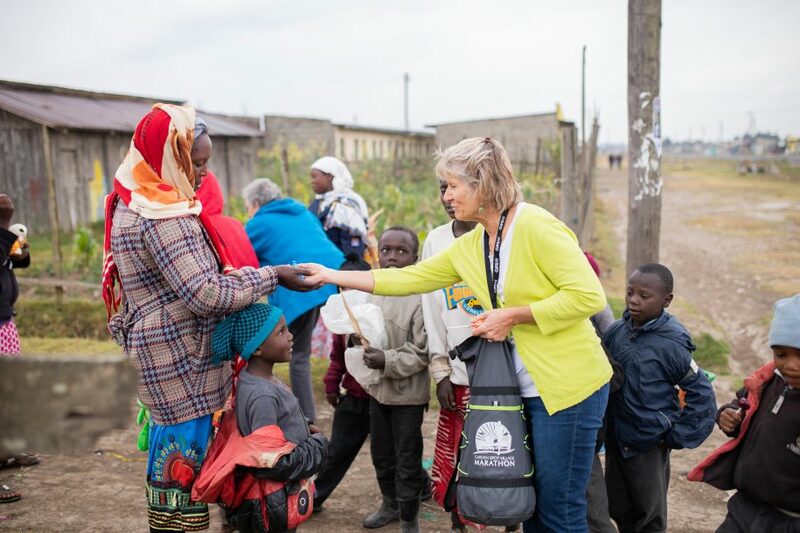 God allows connections to happen everywhere, and if you have a heart to serve others, God will make those connections happen. 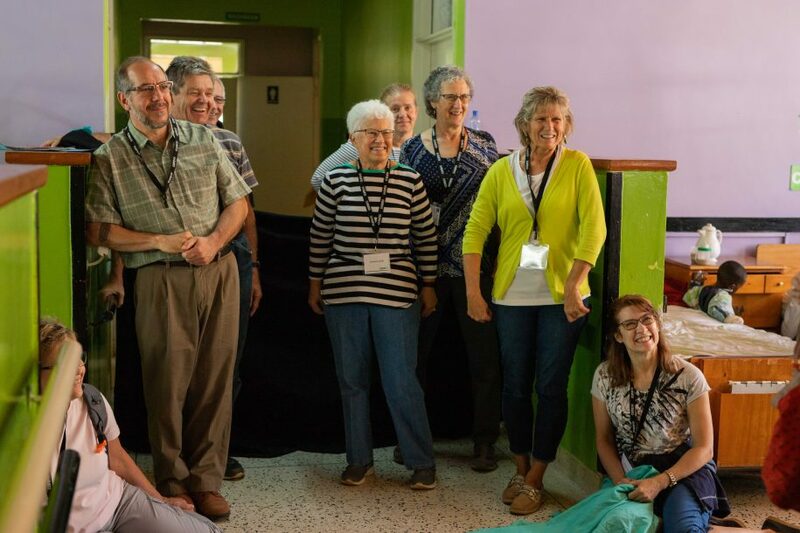 In Pennsylvania, God connected a retirement community, called Garden Spot Village, with CURE. 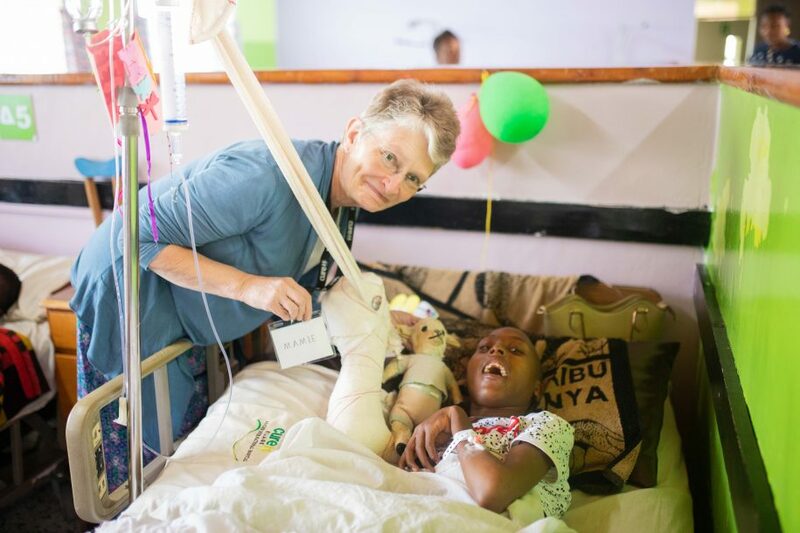 For the past several years, staff and residents from Garden Spot have visited CURE hospitals on their “Travel with Purpose” trips, and this year, they came to Kenya! 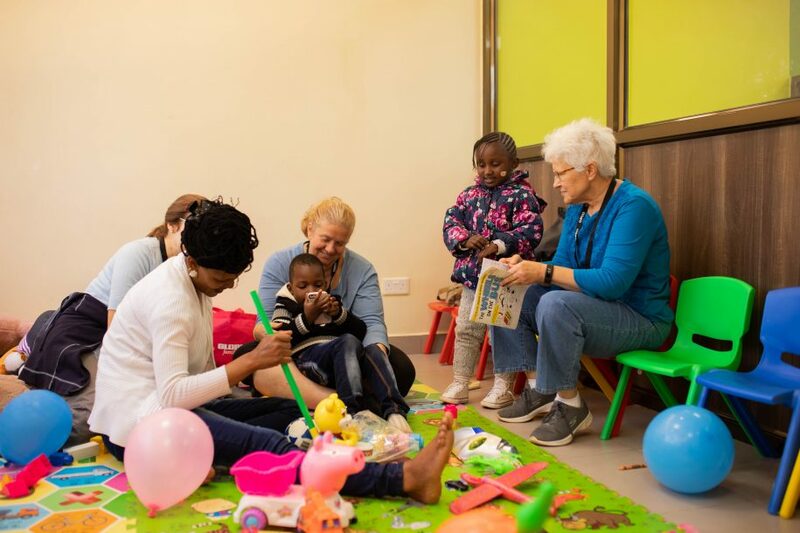 When the group from Garden Spot Village came to Kenya, they brought cars, teddies, and coloring supplies and completely spoiled our kiddos throughout the week. 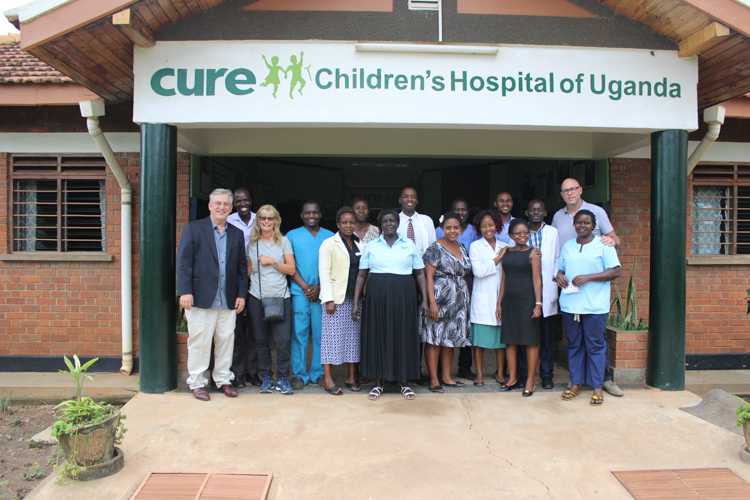 (Kids doted upon included those in the ward, those who came for ortho clinic, and kids they visited during home visits!) 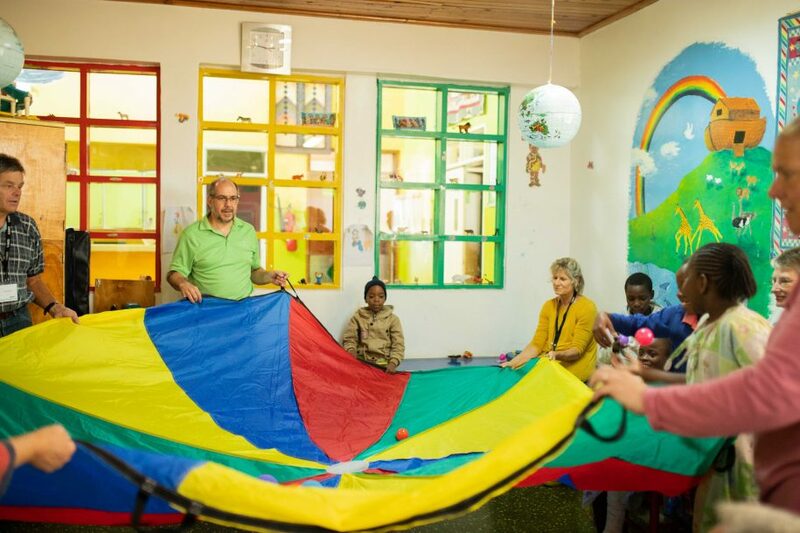 They administered fun activities like parachute ball-bouncing and craft-making and spent lots of time engaging in quality playtime. 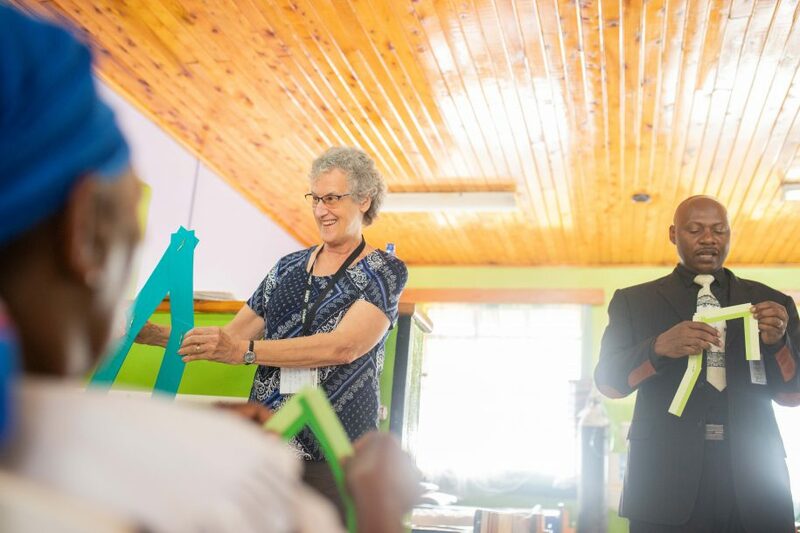 In the ward, they shared Bible stories and songs and even gave out wooden hearts made by a sweet gentleman from Garden Spot Village. 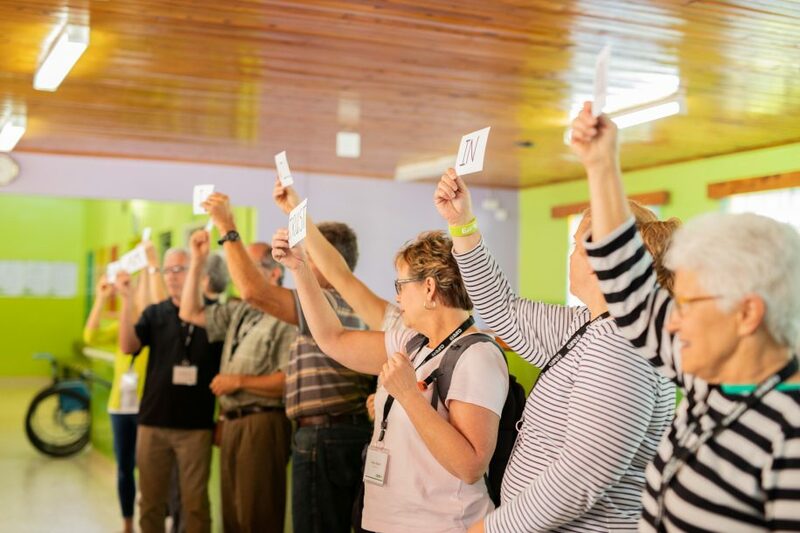 The hearts were made out of two pieces, connected by a string, and they served as a great tool to illustrate how God fixes our broken hearts. Shilovian and her wooden heart. One of our visitors, a woman named Glenna, shared her artistic talent with us! 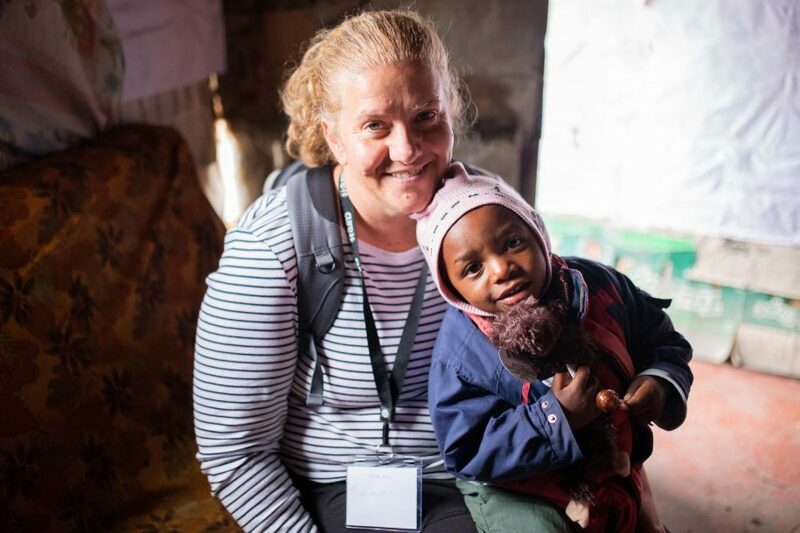 Toward the end of the week, we sat down with four lovely members of the team, Glenna included, to chat about their time at CURE Kenya. Amy and Samson (Ian’s brother) on the home visit. 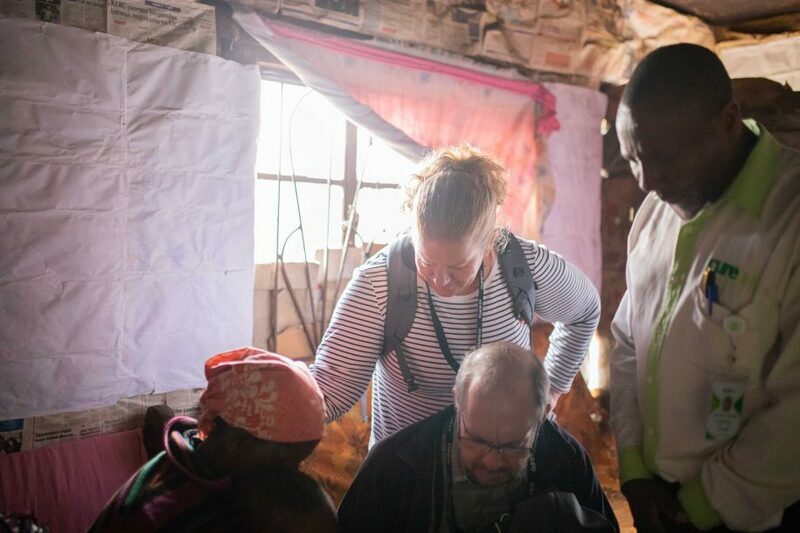 Amy prays with the family of Ian during a home visit. 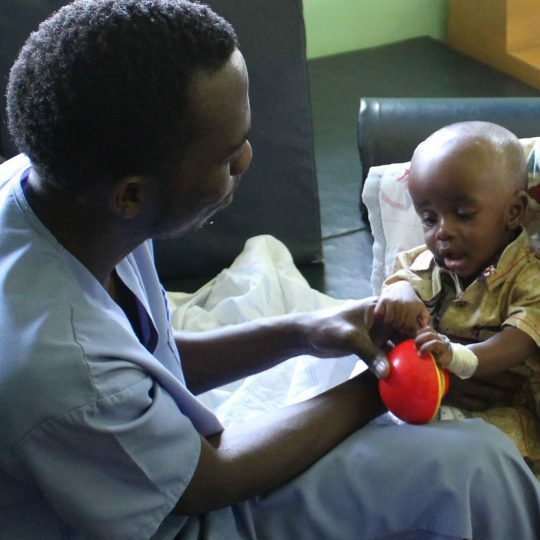 Marian was struck when she watched the surgery of a boy named Meshack. 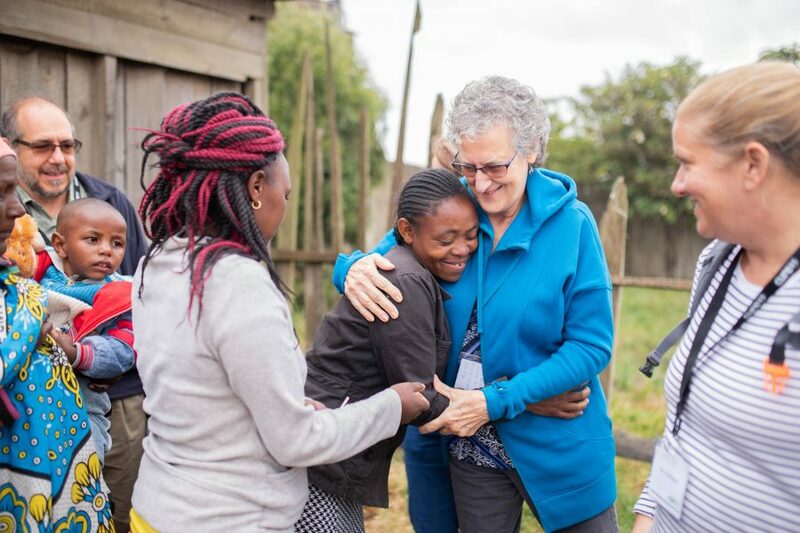 She shared with Meshack’s mother an encouraging experience from her childhood. 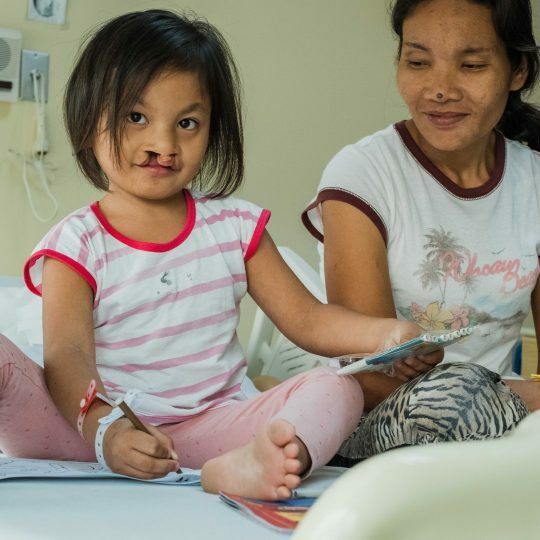 When she was young, Marian had surgery to repair her cleft palate, and she still remembers the first time she said the letter ‘T’ after her surgery. 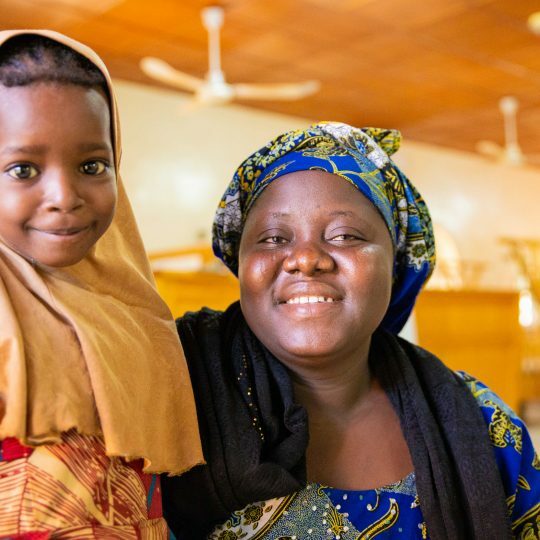 Marian and Meshack’s mom had a precious moment together, and then Marian went outside and sang “Jesus Loves Me.” Marian’s story helped a worried mom’s heart as she waited for her son to leave the hospital! 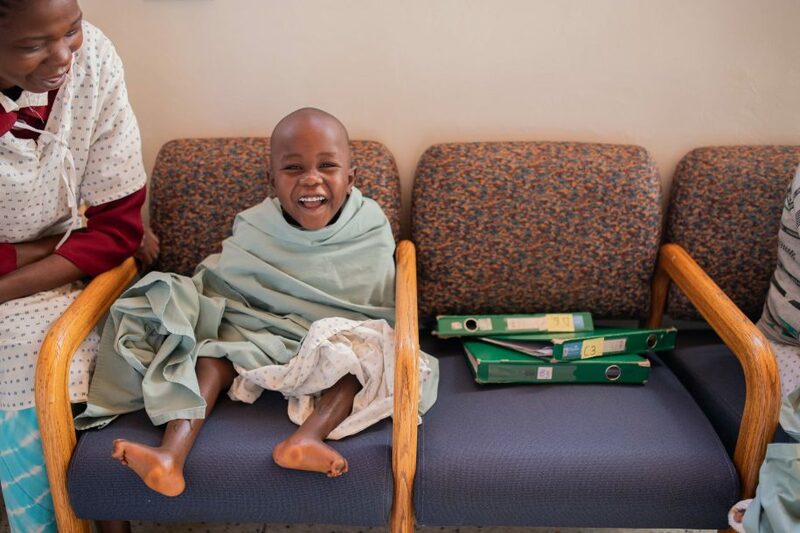 Meshack and his mom await Meshack’s surgery. Marian encouraged them with her own medical story. 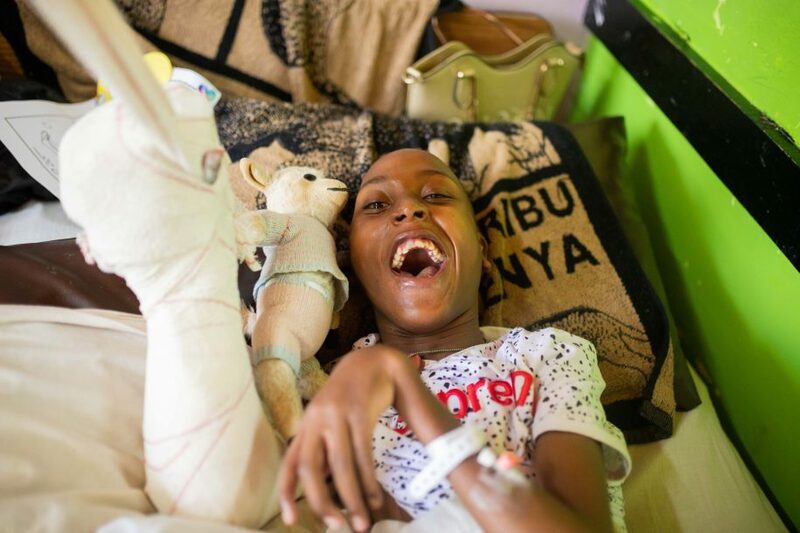 When Mamie was little, she had her appendix removed, and since her parents couldn’t stay with her in the hospital, they gave her Lammie, a stuffed animal to keep her company during her stay. 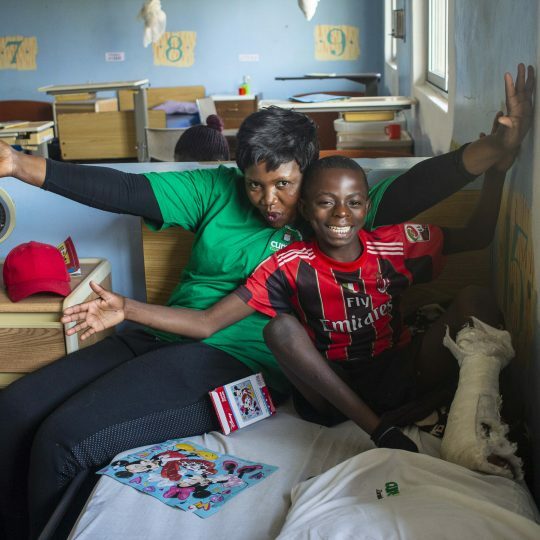 Mamie brought Lammie with her and even shared the story of her hospital stay with the patients in the ward. 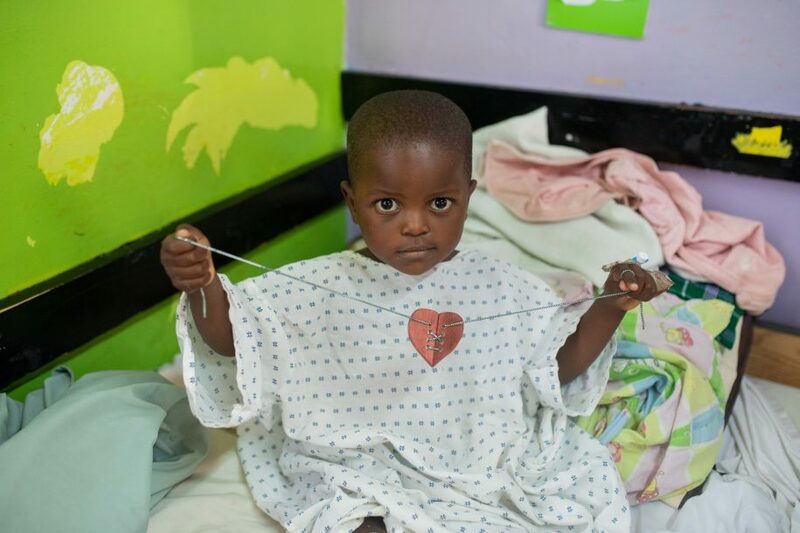 Mamie had walked through the ward, praying: “Lord, please show me which child to give Lammie to.” One of the patients was named Francis. When she learned that his mom was named Agnes, she remembered that Agnes means “lamb” in Latin. It was a beautiful answer to prayer. Francis is now the proud owner of Lammie. 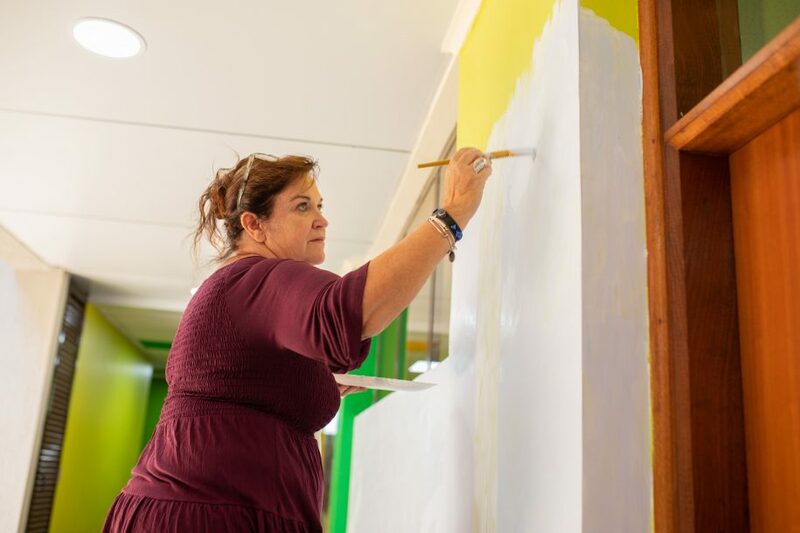 Glenna works on her mural in the OPD. Glenna also painted beautiful pictures on casts, along with painting a large mural and giving stuffed animals away to patients. 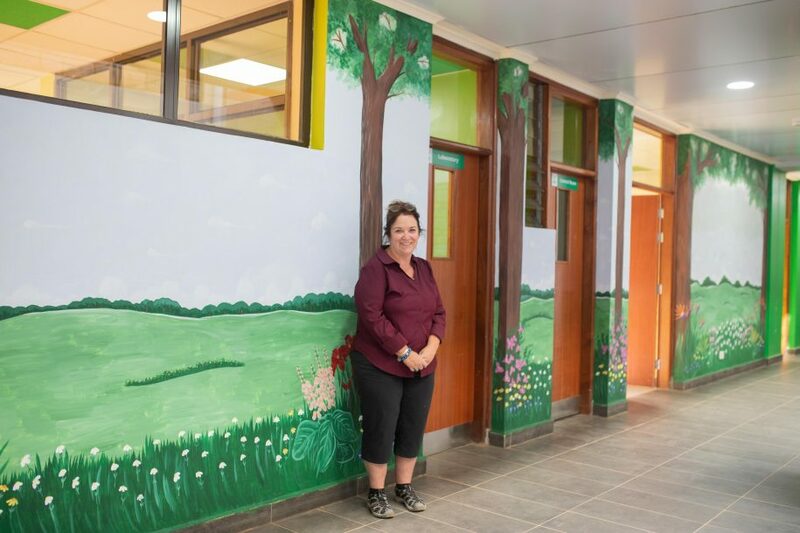 Glenna and her beautiful, finished mural. These ladies witnessed God at work during their week stay. And clearly, God worked through them. We know they took back photos and stories that will impact others, too! We’re grateful for the time they gave to us and our kiddos, and we trust that God will use the time they spent at CURE all for His glory! Marvin shares with waiting patients in the OPD during Wednesday ortho clinic. The group shares a bible verse. 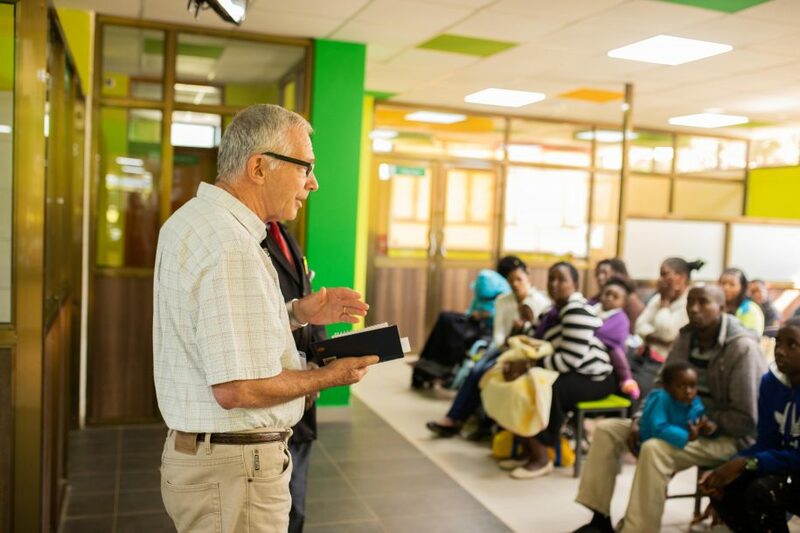 Some of the group enjoying devotions in the ward. 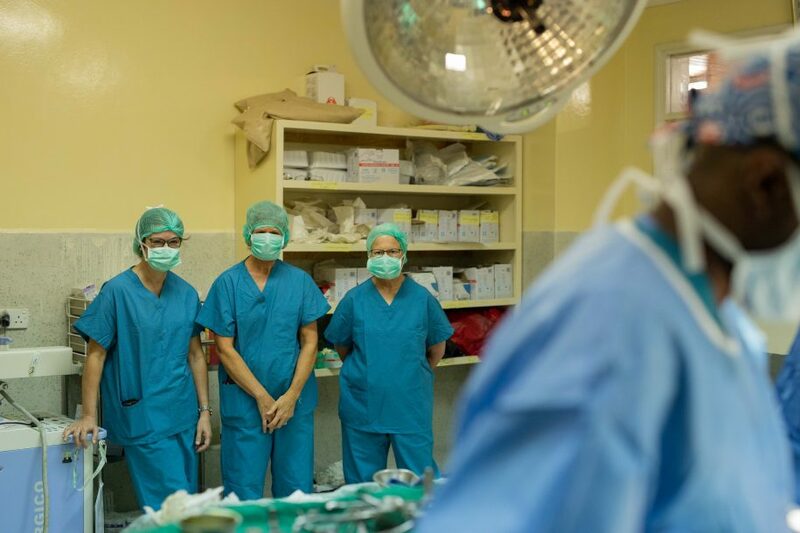 Three ladies watch a surgery in the OR. Parachute time in the playroom! Brenda gives out goodies to people in Ian’s neighborhood. 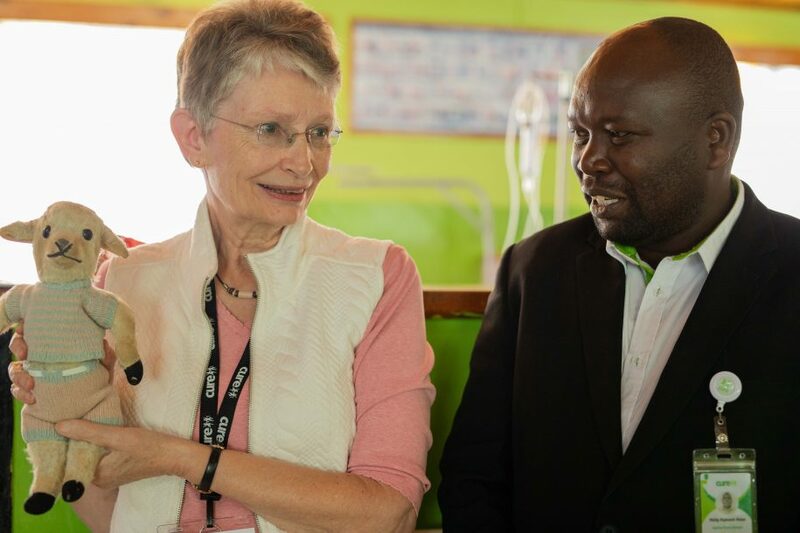 Mamie and Pastor Philip share about Lammie in the ward. Marian hugs Ian’s mom as we prepare to leave after the home visit. Marian shares during ward devotions.